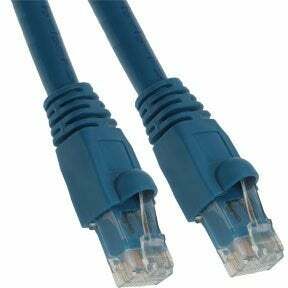 Cat 6A Slim Line Ethernet cable is the solution to reduce congestion in high-density CAT6A Network environments , such as data centers telecommunication and server rooms. The Cat6a doubles data transmission bandwidth, from 250 to 500GB; transfer rate up to 10GB; decreases crosstalk interference; and provides better reliability and transmission speeds through greater lengths of cable. Cat6a cables are also mostly shielded. That's why they are better for industrial use. Our collections includes Cat6a Patch Cables and Cat6a Shielded Patch Cables. Our Cat6a network cables come in various colors and lengths. SF Cable is a one stop solution for all your network cable requirements. We provide high quality Cat6a ethernet cables at low prices by sourcing them directly from ISO 9001:2000 certified manufacturers.